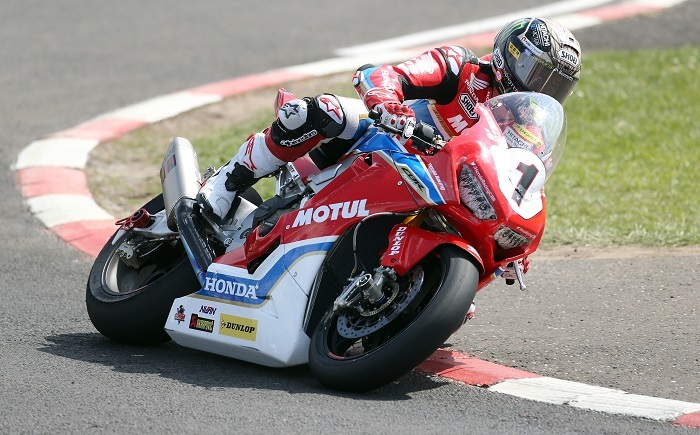 John McGuinness says he wants to come back and race at the International North West 200, despite sustaining career threatening injuries at last year’s event. The six times North West winner suffered serious leg injuries as well as breaking his back and ribs after a high speed crash at Primrose corner during practice. Now aged 46, McGuinness says he doesn’t want to end his career in that fashion and is considering making a comeback on smaller machinery if he is not strong enough to ride a superbike. “It is possible that I will race at the North West again, in the smaller classes, on a 600 or a Supertwin maybe.” he said. The 23 times TT winner is still undergoing treatment on his injured right leg but McGuinness is determined the setback will not end his career. “It has been tough but bike racers are made of different gravy.” he smiled. “I’ve done the North West for 24 years and only crashed once before when I slipped off at Juniper chicane in 2004. There’s no way I want to end my career upside down on a golf course! McGuinness says he has been helped in his recovery by the support of the road racing fans. “The fans I’ve met all want me to come back. I’ve been racing for a long time and I have missed it.” the Morecambe man explained. “We wish John a speedy recovery and he will always be very welcome at the North West 200 whether he is racing or not.” Event Director, Mervyn Whyte said.